Not everyone has been as lazy as I’ve been this summer! 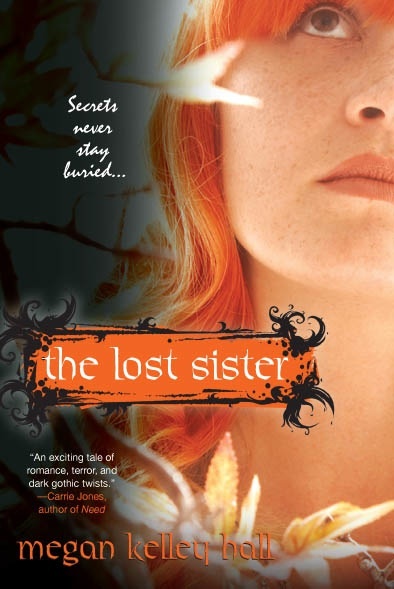 Last week Megan Kelley Hall released The Lost Sister, a follow-up to her 2008 YA suspense novel about mean girls, Sisters of Misery. But before you read Megan’s amazing path to publication, you should know that she started out writing freelance for Elle, Glamour, Working Mother, Parenting and regional pubs The Boston Globe, Boston Magazine, and the Boston Herald. When she’s not writing prose, she’s promoting bestselling writers like Jacquelyn Mitchard, Michael Palmer, Brunonia Barry, and Lisa Genova at Kelley & Hall Book Publicity and Promotion, the company she founded with her mother and sister. I’ve been writing for as long as I can remember. And for some reason, most of my stories always had an unusual angle. For instance, in the fourth grade the girls were supposed to write a short story about a rose, the boys were supposed to write about a train. Most girls in my class wrote about princesses weaving magical roses through their hair or brides walking down the aisle with arms filled with roses. Boys wrote superhero stories about trains that traveled at the speed of light or in-depth descriptions of steams engines. I think boys are born with this innate knowledge of transportation vehicles. Well, I decided to combine the two stories and I wrote a story about a man who fell off the train and saw his whole life flash before his eyes. He realized how horrible he’d been to his friends and family, especially his wife. He screamed as he fell and by the time he landed on the ground, his whole body had transformed into a rose, his arms stretched out into wide, green leaves, his legs were thorns, his body an awkward arch of a green stem. And when his wife walked sadly from the platform, unaware that her husband had transformed into the dying flower, she stepped on the rose (her husband) and crushed it into the winter ground. Hmm… I’ve always had an active imagination, that’s for sure. I’ve always been drawn to stories and authors that provide that unusual twist. In high school, I loved anything by Christopher Pike, Lois Duncan, Stephen King, and even V.C. Andrews. In college, I loved short stories by Edgar Allan Poe, Shirley Jackson’s “The Lottery”, Faulkner’s “A Rose for Emily.” I love the eerie, unexpected ending, the gothic elements, a great ghost story. That’s the type of story I wanted to tell in my debut novel, SISTERS OF MISERY. I had originally written it as an adult novel (entitled MISERY ISLAND ), but I wanted to write a Young Adult suspense, because that genre was what originally inspired my love of reading and writing. Plus, today’s YA has come a long way in terms of dealing with adult issues and themes. My love of writing continued into high school and college—I took every Shakespeare course I could possibly take. At Skidmore, I studied under Professor Steven Millhauser, who would later go on to win the Pulitzer prize. I just thought he was a really cool professor at the time. But the pivotal point in my college writing career was having coffee with one of my writing professors, Tatyana Tolstoya (Tolstoy’s granddaughter). I was all excited to go and smoke cigarettes and drink coffee with my professor while we discussed my latest short story. I thought she was going to tell me I was doing a really great job in her class. Instead, she basically blew smoke in my face (literally and figuratively) and said, in her thick Russian accent, “You have too much vanity in your work. You think you’re a better writer than you really are.” I was shocked, because I didn’t think I was that good (and after that meeting, I really thought that I sucked). But what I took away from that meeting was that I can never rest on my laurels. I should always push myself to be a better writer. There is always room for improvement. I try to apply that motto to my writing, as well as other important parts of my life. My journey to becoming a published author is kind of a dark, gothic story in and of itself. I was walking on the beach near my house one afternoon and suddenly my vision became blurry. I ran up the hill to my house and luckily my mother, my husband and my baby girl were there. They rushed me to the hospital only to discover that I’d had a series of mini-strokes (resulting in losing partial vision in one eye). This was not normal for a 32-year old in seemingly good health. So, for the next two years I had numerous medical procedures (carotid stent, CAT scans, MRIs, MRAs) and eventually I had open heart surgery. And I technically died for 96 minutes in that all brain activity was quieted and my heart was stopped. And then I came back. After I was “fixed” (turns out the medical problems stemmed from radiation treatment I received when I was a baby with cancer), I was forced to do basically nothing for three months because I had to let my sternotomy wounds heal. 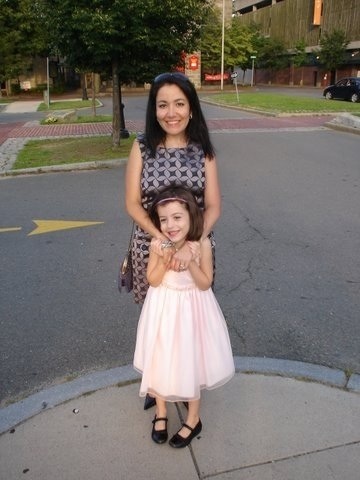 It was at that time that I realized that even though I had written for some national magazines like American Baby, Parenting, Working Mother and even Boston Magazine, I’d never written for a major women’s magazine and I’d never published a book. 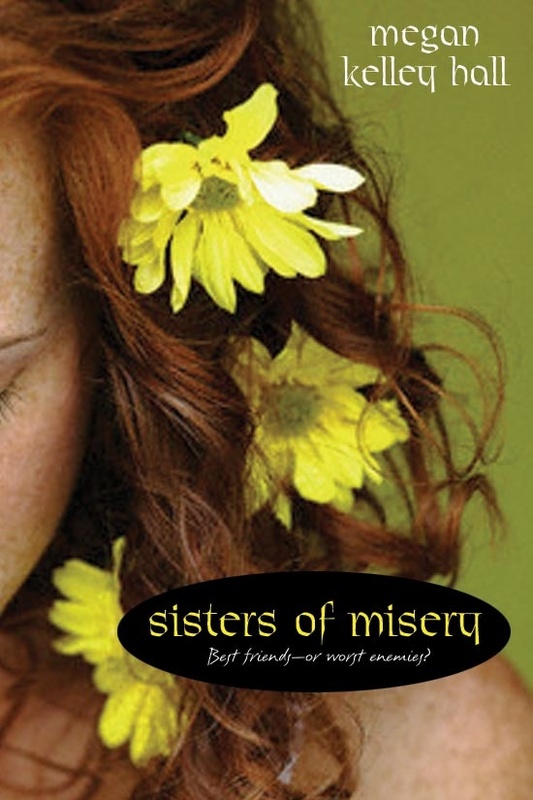 So I used that time to revamp the book I’d been toying with for years and turned the adult suspense MISERY ISLAND into the YA suspense novel, SISTERS OF MISERY. Through all of those obstacles, I realized how precious life was and how if you want something, you really have to go after it (it’s not going to come to you). Using those three housebound months as “work” time, I was able to accomplish the following things within the next year: I finally had a feature article run in Glamour magazine, I got a literary agent from one of the largest agencies in New York , and I got a two-book deal from Kensington Books for the SISTERS OF MISERY series. And to top it all off, my essay about overcoming obstacles was included in former CNN Anchor Daryn Kagan’s anthology entitled, “What’s Possible!” proving that truly anything is possible. For more info, visit my website at www.megankelleyhall.com. Thanks for inviting me to the Handbasket, Laura! So interesting. I like to read YA because they’ve changed so much since I was a kid. They can cover such a wide range of subjects and emotions now. This was a fascinating post. Thanks. Megan, what an amazing journey you’ve had! I can’t believe all you’ve faced while still following your goals and dreams. You’re an inspiration. Fourth grade was the first writing success I encountered, although mine wasn’t as cool as yours! I wrote an essay about my dad and won second place in a contest. My pregnancy with twins had some placenta previa, bed rest and premature babies in it, too, so I relate to that part. And it was at that time that I, too, took up writing again, although I didn’t tackle a novel until after 9/11. I love YA and will defintely grab your books next time I’m at the bookstore. They sound compelling and thrilling! Thanks for sharing all this. Knowing a little about you will make reading your books even better! Thank you so much for hosting me on your blog, Laura! I’m such a huge fan of yours and it was an honor to tour on your blog. I really appreciate all the kind comments Carla, Helen and Misty. Misty, it seems as though you and I have lots in common. Thanks again, everyone and I hope you enjoy SISTERS OF MISERY and THE LOST SISTER! It was great to have you here, Megan. I really love your story–I bet people love to hear it when you tour.Come back for your next book, please! 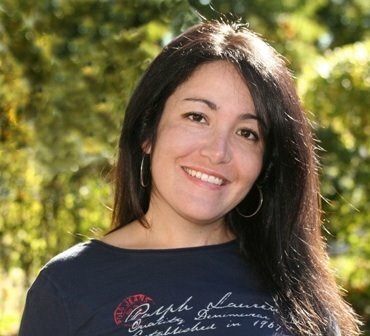 Hi, Carla–You’re a doll to come by! Helen–You’re so right about contemporary YA. I love the oldies, but new stories are so much richer. Misty–Thanks for sharing *your* compelling journey. Thanks for the post, Megan and Laura. I love reading a writer’s journey to publication, it’s always inspiring.